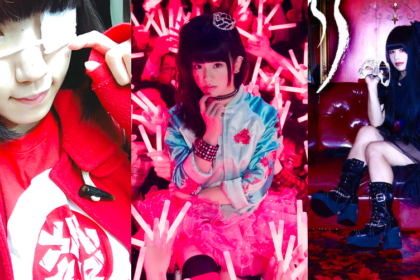 The world of idol pop is peppered with a broad range of solo artists and large group outfits all competing for attention in the Japanese domestic market. 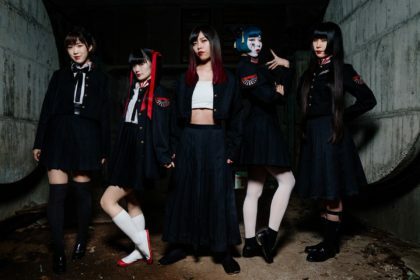 BOO is a new duo that are keen to create a bridge between idol pop and a more western-style of music in a bid to appeal to a wider audience. Miyuu Hosoda was originally a member of AKB48 offshoot SDN48 before joining 7cm, itself another separate outfit curated from SDN48 members. At the age of 18, Miyuu was awarded the Grand Prix in the Shonan Girl Contest and became the poster girl for her hometown Shonan. She then passed an audition to be a second-generation member of SDN48. 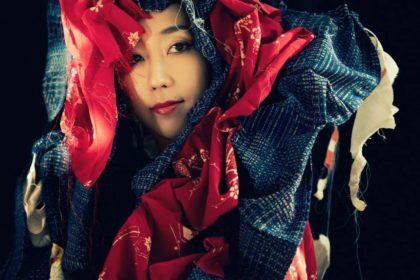 Satoko Kasuya had embarked on a career as a dance in America, working in Las Vegas for 2 years. On returning to Japan she signed up with another AKB48 sub-unit known as DiVA (later DIVA) who scored some success, including a No. 3 spot in the Oricon Singles charts. BOO represents a new venture for the pair which seeks to combine western concepts, such as R&B influences, with idol pop. 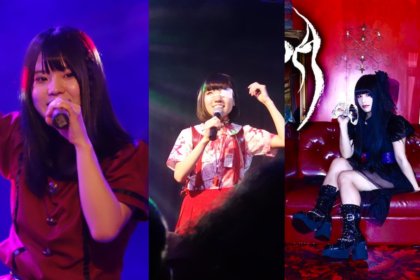 They made their UK debut with a special showcase at Hyper Japan in November 2017. Their combination of energetic dance routines and idol/R&B tunes made them a standout act at the Japanese cultural event. The visual elements of their shows are provided by VJ 2mo who has also created concert visuals for artists such as Paul McCartney and Ed Sheeran. You’re both members of the AKB48 family. I’m just interested in what you learned from your experiences in that environment? So that’s why I was really interested after my show closed. Then come back to Japan and auditioned for DIVA. I love the music of idol, but I want to work not only in Japan. I want to come to Europe, I want to perform everywhere in the world. That’s why when I was in DIVA, I was idol but thinking every time about international music: R&B, hip-hop – my favourite artist is Rhianna. 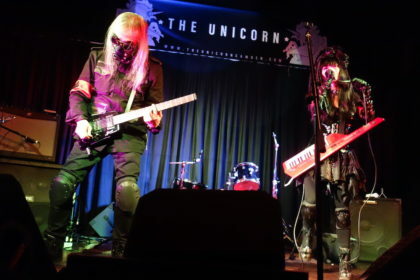 Your stage outfits are very striking. Where do you draw inspiration from for your clothing? Manager: They themselves understand that Japanese culture is not yet used to this kind of costume. They want to do only what they can do and they were looking, not just for Japan but worldwide. That kind of way of thinking kind of ended up in this kind of costume. They’re seeking for originality all the time. Satoko: So this new style that we’re seeking is a new style that even those that cannot hear can see… can feel it somehow. We’re seeking for a new way to involve everyone, not just people who listen to the music, in any way so that we can involve the audience more… so we can make more audiences happy, so that’s the way we are seeking. Was there any elements of your experiences while performing in the US that you brought into BOO? Satoko: When I was in the US at first I was typically Japanese, but I learned a lot from the attitudes of American people. Now we’re keeping that Japanese-ness and combining it together with that bold American style. Then now I can do whatever I want to do. By doing that, I knows my dream has come true. What sort of future do you see for BOO? 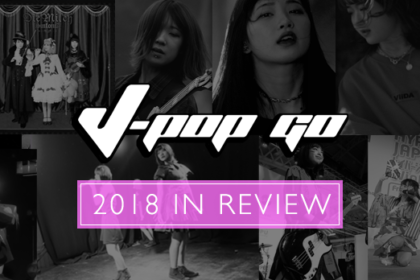 J-Pop Go extends its thanks to the Hyper Japan press team.